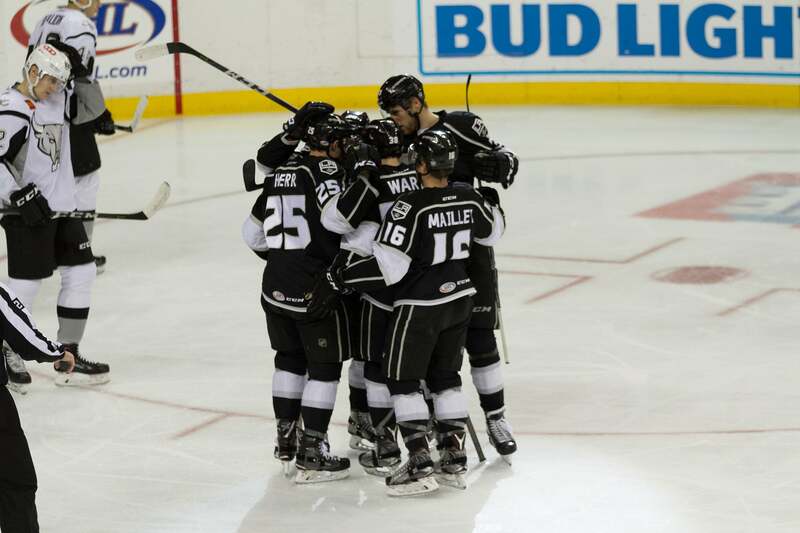 The Ontario Reign extended their winning streak to four games and now have eight wins over their last 10 games thanks to a 3-1 victory over the San Antonio Rampage Sunday afternoon at Citizens Business Bank Arena. Forwards Sam Herr, T.J. Hensick and Jamie Devane lit the goal lamp for the Reign. - Reign forward Sam Herr opens the scoring midway through the first period with his first goal of the season. Defenseman Sean Walker and forward Philippe Maillet added assists. - Forward T.J. Hensick made it 2-0 at 18:17 of the opening period, smacking a pass from forward Matt Luff past Rampage goalie Spencer Martin. Forward Brett Sutter picked up the second assist. - In the second period, the Rampage reclaimed some momentum after successfully denying a four-minute Reign power play. After 40 minutes, the Rampage held a 19-17 shot advantage. - Forward Jamie Devane made it a three-goal Reign lead at 4:12 of the second period with help from forwards Andrew Crescenzi and Keegan Iverson. - The Rampage spoiled Jack Campbell’s shutout bid with 91 seconds left in the contest as forward Tyson Jost tucked in his first goal of the season. Campbell finished the game with 36 saves. - Grab a Reign Power Play Pack that includes a ticket, hot dog and soda staring at $25 with NO FEES at OntarioReign.com! Friday is also $2 Bud Light Friday!